Fireworks seem interesting and beautiful to everybody but what really is the true story behind them? To know more about the side effects of fireworks, you can go through the following given information. Some common types of fireworks observed on 4th of July are Peony, Willow, Crossette, Mine, Cake and Chrysanthemum. Some of the most dangerous fireworks include Bottle rockets, Sparklers, cherry bombs and homemade and illegal fireworks. Consumers spend over $600 Million on fireworks on 4th of July and an average family spends $20-$30 on this day on fireworks. Britons spend around 70 million Euros a year on fireworks. The spending on professional displays has risen by about 5 % a year over the last decade. 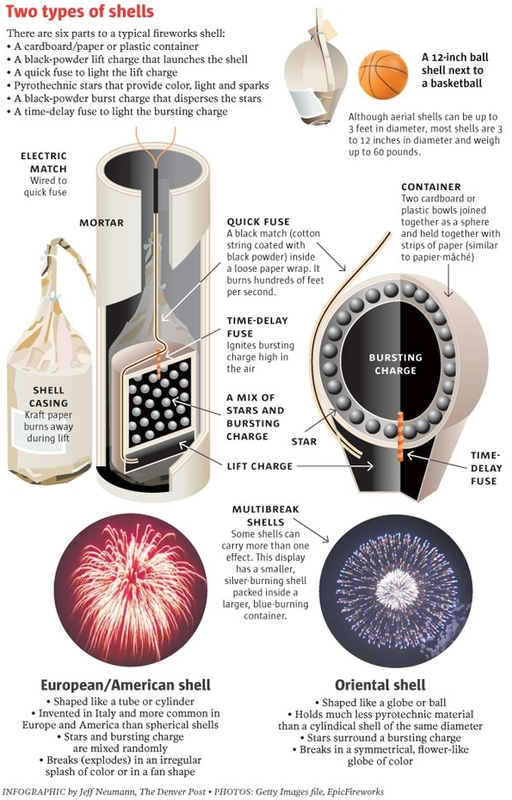 The overall firework budget on the eve of London’s 2011/2012 New Year was 1.9 million Euros. 200 people on an average go to emergency room every day with firework related injuries in the month around the 4th of July. Some of the most injured body parts due to fireworks include hands and fingers, heads, faces and ears, legs and eyes. More than half of these injuries are burns. 155 people were injured in Illinois during July 2011due to firework related injuries out of which 104 were males. The worst offenders were bottle rockets and caused most of the injuries. The other major offender was sparklers.54% of the injuries were burns while 24% of the injuries were lacerations and abrasions. 5% of the injuries resulted in loss of sight. Animal control services see a 30% increase in lost pets from July 4th to 6th. Out of these, 14% return to their owners. The 3 most common runaway pets found in animal shelters are Labrador retriever, Chihuahua and pit bull.30-60% of lost pets are euthanized because they cannot be properly identified or returned to their owners. Keep it legal-do not use homemade or illegal fireworks because they can cause unexpected injuries or accidents. 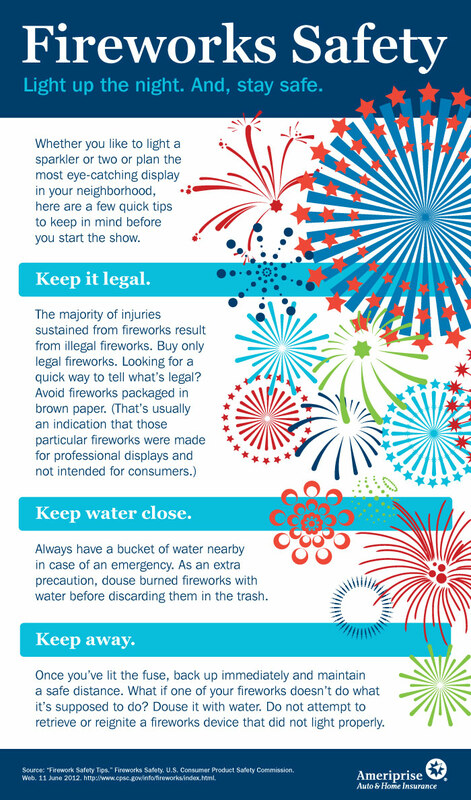 Keep water close-one must always have a bucket of water close while lighting fireworks. 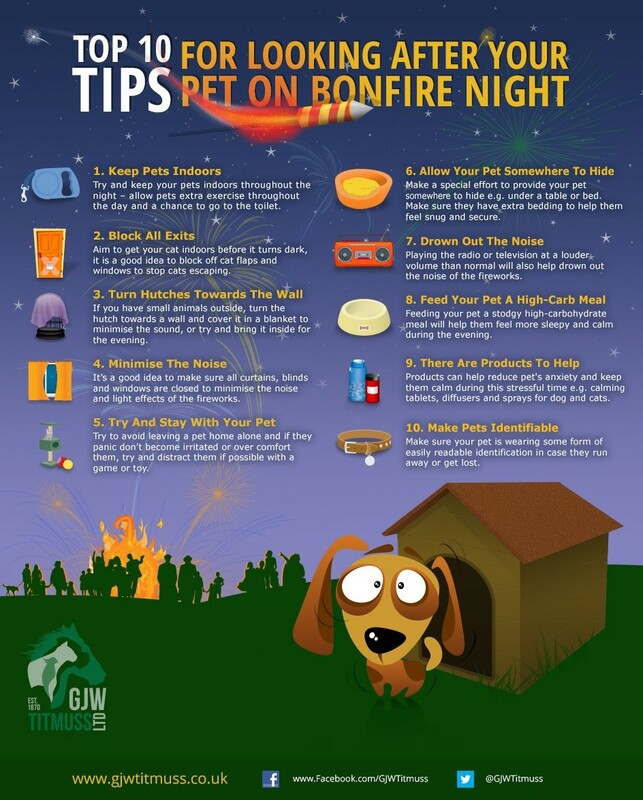 Keep away-after lighting a firework, immediately back off and try to maintain a safe distance. New Haven’s fireworks budget is 13% of what it has been in recent years which is due to the fact that it has downsized its fireworks show considerably.